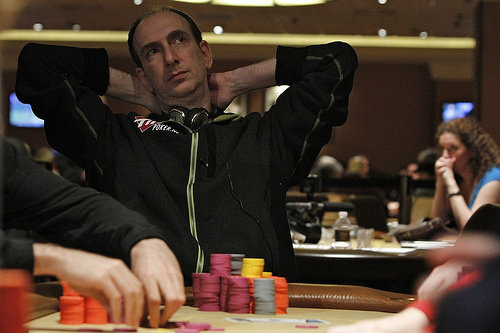 The 2011 poker circuit is still under the table, sucking Erik Seidel off. 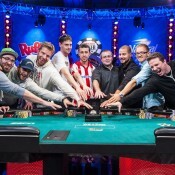 Is this the best run-good in modern poker history? Erik Seidel took down another high buy-in event, capturing the inaugural WPT Championship $100,000 Super High-Roller. For the win, Seidel banks $1,092,780. He defeated Erick Lindgren ($700,500) heads-up for the title. :: A fourth for $295,960 in the $25k PCA High Rollers. :: A third for $618,139 in the $100k Aussie Millions High Rollers. :: A first for $2,472,555 in the $250k Aussie Millions Super High Rollers. :: A first for $144,570 in the $25k LAPC High Rollers. :: A first for $750,000 in the $25k NBC National Heads-Up. :: A second for $155,103 in the WPT Hollywood Poker Open. Between winning all of these events and the fact that nobody can get money off the site he helped launch–Full Tilt Poker–Seidel is pretty much the epicenter of the poker economy at this point. Where all of this places Seidel on poker’s all-time winningest player list is still debatable, depending on what tournaments you include for your list. He’s either first by a large margin or third. 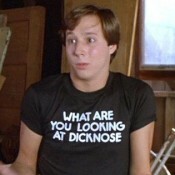 Regardless, by any measurable, the 2011 poker scene has been owned by Erik Seidel. This makes poker players the most successful of all time list Seidel, but remains open to question, what games are dependent on your list. It, either through a wide range of deposit or others, for the first time. It is a awesome news for the Erik Seidel that he wins WPT $100k Super High Roller. I think he is such a lucky person. I have no any luck in a casino games.